Looks like Cafe World will be undergoing some kind of expansion, as we discovered the lot across from our cafe looks like it's under construction. Not sure if we'll be able to see our neighbor's cafes outside of our own, or if we'll be able to own more than one restaurant at a time. Actually, the ability to own a series of restaurant could be rather interesting, especially for upper level players who might be running out of steam. We're not sure when said expansion will take place, but since there's a scheduled outage for the Cafe World later this evening, it might be coming sooner than we think. 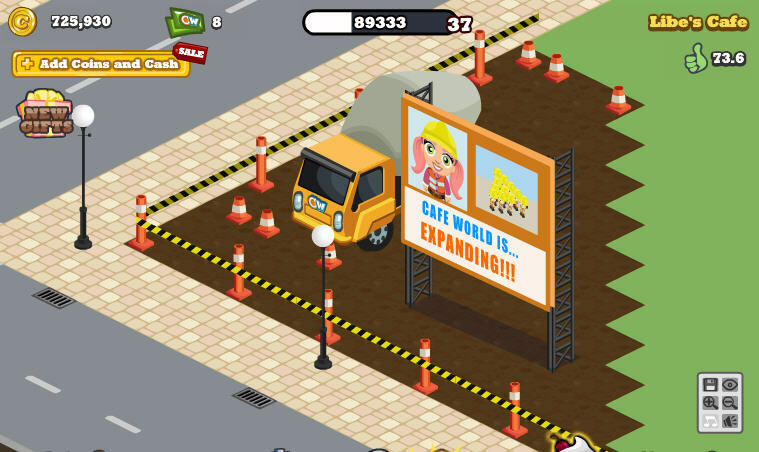 What do you think about the idea of owning more than one cafe?